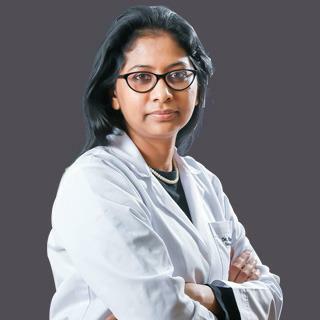 Dr. Rizmee Shireen graduated from medical school in India at Deccan College of Medical Sciences, which is affiliated to the University of Health Sciences, Vijayawada, and moved to Ireland in 2001 to pursue postgraduate education and achieved with distinction a Diploma in Gynecology and Obstetrics from Trinity College Dublin in 2002. During her early years of obstetrics and gynecology residency training in Ireland, she gained expertise in various branches of the specialty including active management of labor, benign gynecology and obstetrics. Dr. Shireen had her Residency Training in Obstetrics and Gynecology in various teaching hospitals under the auspices of Health Services Executive, Ireland (2003 – 2008). She was accredited as certified colposcopist by British Society of Colposcopist and Cervical Pathologists UK in 2007, and is a certified BSCCP trainer since 2014. In continued series of achievements, she was awarded membership of Royal College of Obstetricians and Gynecologists UK (MRCOG) and Royal College of Physicians Ireland (MRCPI) in 2007. During specialist training in Ireland (2008 - 2013), Dr. Shireen consolidated on her basic training of management of labor and pregnancy and exceled in areas of management of gynecological malignancies and pelvic surgery. In 2013, Royal College of Physicians in Ireland awarded her a certificate of completion of training (CCT). Dr. Shireen went on to do minimal access surgical fellowship in Mater Misericordiae University Hospital and St James’s Hospital in Dublin (2013 – 2015). Dr. Shireen worked as a Consultant Gynecologist at St James’s Hospital, Dublin (2015 – 2016), after which she moved to the UAE and joined the Al Zahra Hospital Sharjah Team as Consultant Obstetrician & Gynaecologist. Dr. Shireen has a special interest in general obstetrics and gynecology, active management of labor, management of gynecological malignancies and premalignant conditions of female genital tract, and laparoscopic pelvic surgery. Dr. Rizmee speaks English, Urdu, Hindi, Telugu and Arabic. Active management of labour and pregnancy. Benign gynecology and obstetrics, and laparoscopic pelvic surgery. Management of gynecological malignancies and premalignant conditions of female genital tract. Membership of Royal College of Obstetricians and Gynecologists UK (MRCOG). Member of Royal College of Physicians Ireland (MRCPI), 2007. Minimal Access Surgical fellowship, 2015.